Like to listen to music while you work? While you make dinner? While you entertain? Like to have great sound quality without wires? If that sounds like a fit for you, you’ll want to check out the Ultimate Ears MEGABLAST and BLAST portable speakers – perfect for your office – or out in the sun while having fun this summer! The Ultimate Ears app: When I have friends over after a crazy week, I generally have music playing, but when someone comes to the door, or the phone rings, you need to be able to turn down the tunes for just a few – and now you can do that remotely with the app! You can also check battery status in two ways – either through the app, or right from the speaker by pressing the “+/-” volume buttons simultaneously. You can personalize your sound for any artist or music genre with the custom equalizer (EQ) on the app! Spotify Connect: Not available just yet, but coming soon – MEGABLAST and BLAST will be the first Ultimate Ears speakers to integrate Spotify Connect. What that means is that when you’re on Wi-Fi, you can open up the Spotify app on your phone and play music directly to the speakers. No need to go through the whole pairing process with Bluetooth. To make even more of handy tool for the office – you can also text message or make calls on your phone without interrupting the music. 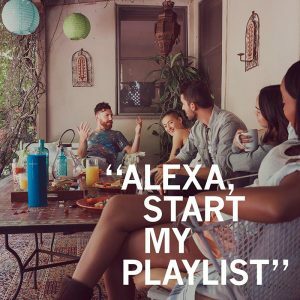 Don’t want to wait for Spotify Connect, you can use the hands-free Amazon Alexa that is built-in for playing tunes and finding new restaurants! 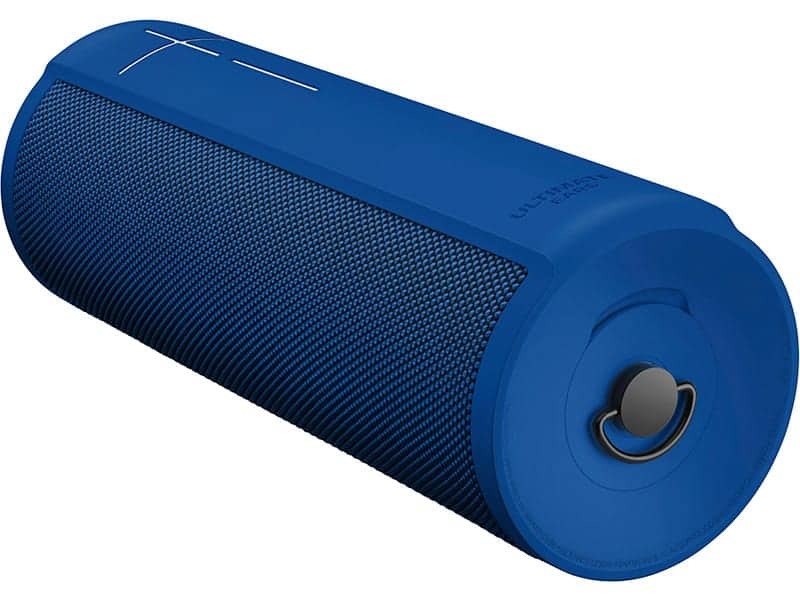 Check out Best Buy for more on the Ultimate Ears MEGABLAST and BLAST portable speakers! Disclaimer: This post is sponsored by Best Buy, but all opinions stated here are our own.